The Education plays a most important role in everybody’s life, it is that thing which creates a difference and teaches us to perceive life in a different way. It not only helps to get a better career but also in holistic development to be a better human being. It helps to shape a better personality and together we can build a better society. This is why we give utmost importance to the quality of education our students get. All the kids with us go to a full-time educational institution and study every day. Every kid around us deserves a good education and the opportunity to do better in life. Education empowers them, gives them necessary confidence to face life and helps them financially and morally until the end. With quality education and good teachers around, our children continue to grow better and evolve as good citizens of the country. Spending for education is an investment in every sense. Keeping this in mind, we have chosen good institutes for our children to learn from. 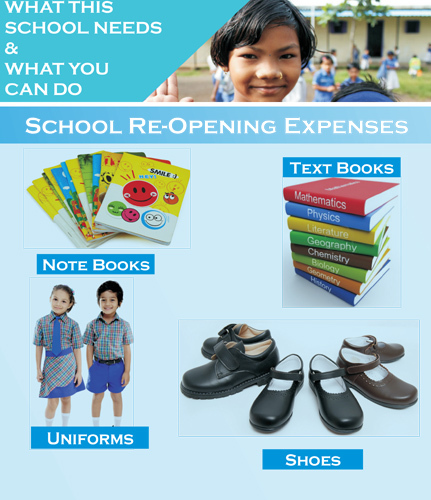 Books, school fees, tuition fees, uniforms etc. are always on our priority list. 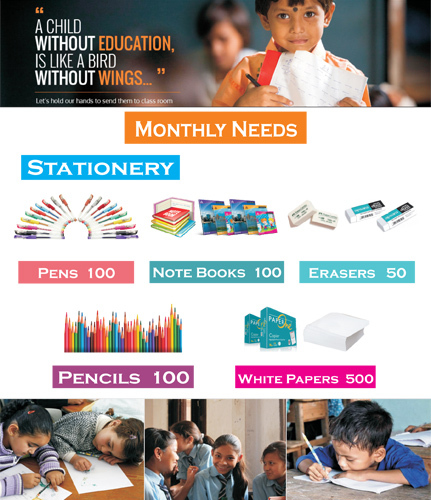 On an average, it costs around INR 1000 per month for one child to go to school and this includes school fees, transportation, notebooks and textbooks, stationeries and tuition fees. 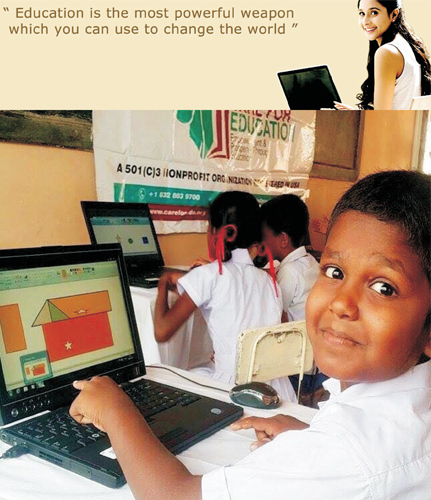 Please help our children to get their right! Please sponsor for this revolution of Education.